This is a continuation of an ongoing knee issue. 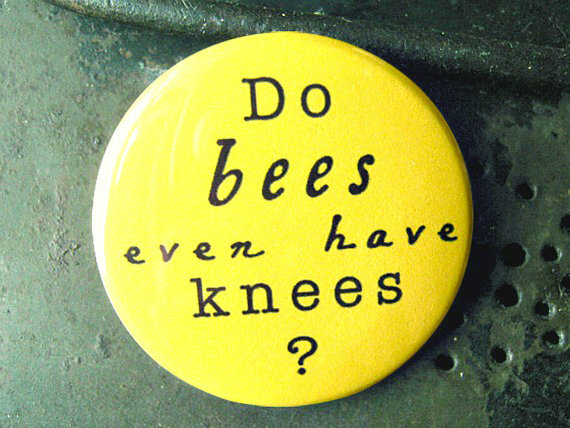 It started with Bee’s Knees and went on to Bee’s Knees Continued. I’m hoping to end my knee pain in the very near future. It was wonderful and got me through a cruise to Maine and Canada. In Bar Harbor, I overheard some women talking about their knees. One said that the cortisone didn’t work for her at all and she was going to have surgery <uhoh> and another said that they’d have to cut the nerves around her knee. I’ve asked a couple doctors and Dr. Google. No one seems familiar with that idea at all. It also got me through our son’s wedding in October, including climbing stairs! It also produced one of my only smiling photos, ever! December 5, 2018, I saw my endo, Dr. Roberto Salvatori, and “confessed” that I’d had this injection. We’d talked about this before and how it might react with my daily Cortef and Omnitrope shots. He hadn’t thought I should get this. But, since it was a done deal, he said to monitor how I was feeling with the additional cortisone. This is very good – much stronger than the one I mentioned below on September 8, 2018. The only real issue I have with it is that it bent, so I have to bend my knee to put it on. The other one is completely straight and just wraps around. The older, wrap-around does have a tendency to slip sometimes so I make it tighter than I probably should. I do love that they’re making products for people with latex and neoprene allergies, though! April 10, 2019, I broke down and bought this leg pillow. I’d seen similar ones on TV but I got this on amazon (of course!). Aocome Knee Pillow for Side Sleepers Knee Pillow Ergonomically Designed for Back Pain, Sciatic Nerve Pain Relief, Leg Pain, Pregnancy, Hip and Joint Pain – Memory Foam Leg Pillow. This is one of the better things I’ve gotten in my journey. It’s very nice, soft – and blue! I’m of 2 opinions about the little strap – it makes it easy to keep it “attached” to my knee but I have to bend my knee to put it on in the first place. I think over time, the elastic may stretch out, making it harder to keep on. The whole is covered with a washable velour-like fabric. The price was reasonable enough that I could buy another one if/whey that strap expands too much. I have a tendency to roll over in my sleep and found that I can use it as a little pillow to raise just my left leg instead of between both knees when sleeping on my side. I also found that it’s sometimes better to sleep on the sofa. When I roll over, the pain from my knee often wakes me up again. Lying on the sofa makes it harder to roll over. 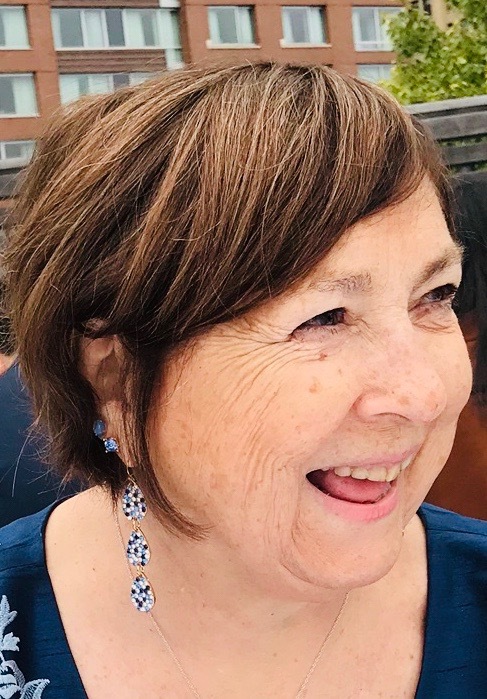 During this time, my pain was so bad that I was considering surgery – later. April 8, 2019, I was supposed to get my second cortisone shot in time for Easter but there were car issues at the last minute. On the way to water aerobics, I was having trouble shifting my car. I’d have to actually turn the ignition off to do so. Not fun! When I got home, Tom was sure he could do it…but he couldn’t either. He drove it in to Advanced Automotive. One of the Advanced Automotive mechanics test-drove the car and then found the bolts holding the brake master cylinder to the firewall had loosened. Could have been even more serious! They fixed that for free since they were the last people to work on the car and maybe(???) didn’t tighten the bolts completely the first time. So, I missed my first appointment but got a “new” car. April 22, 2019, I got my second cortisone shot (Kenalog 40 mg/mL suspension for injection). This time it was a new doctor (same practice), so I had to explain everything (knee history, Cushing’s history, kidney cancer history) to her. I was unsure how often I could get his shot because I knew I’d want/need one before our cruise next September. These look like places I will want to walk! She said that the cortisone stayed mostly in the knee area so I could get one every 3-4 months! I could have saved myself a lot of issues in early 2019 had I known that So, I’ll go in the early part of September for #3 and maybe go on a 4-month schedule. For reasons known only to her, she did the injection in my inner knee-cap. Even with the lidocaine, it was a bit more painful there than I remember the other one – or maybe I just blacked that out. This morning (4/23) there’s still a bit of discomfort but I can deal with that. I also had a bit of trying to run to the bathroom a little quicker than usual. I also don’t remember that from before but I assume it will go away soon. I checked the weather and found that school was starting late because of icy conditions. I put on boots and took the dog out. It seemed to be raining – if it’s raining, it must be warm, right? So I didn’t really pay attention (and I had other things on my mind!) and completely missed seeing the black ice. Next thing I knew, I had fallen on one knee, my cellphone in my pocket bruised my other thigh and my left arm hurt where I’d reached out to catch myself. Around January 27-28, 2016, I was in Walmart and had to get a produce bag that was way over my head. I had to stand on tiptoe…and my knee felt like something ripped. Thankfully, I had a cart available to use as a temporary crutch. January 31, 2016, I got very itchy, presumably from Vicodin so I stopped that and started taking Benadryl for the itchiness. February 2, 2016, I went back to the clinic for the results of x-rays and I mentioned the itchiness. Since I have very limited meds available to me, he recommended an Orthopedist. I called him when I got home and he didn’t take my insurance. I tried another doctor who supposedly took my insurance but they didn’t. February 7, 2016, I really needed the sleep so I took half a Vicodin. No pain and no itching. HOORAY! February 8, 2016, I saw my regular doctor. She thinks it’s a possible “lateral collateral ligament vs meniscus tear”. She referred me to Physical Therapy (PT) and prescribed Ultram. As of this writing, I haven’t used that yet. February 11, 2016, 8:30 am My first appointment with PT. Since my blood pressure was high, we mostly did assessments. I had a main therapist and a student. They had to use 3 types of BP machine to do this. February 13, 2016. My leg feels a bit better. I had the brace off last night and almost straightened my knee out. Somewhere in this period, I learned how to manually move my kneecap (patella) around. I saw my day 1 therapist again and he said my knee was angry. Swollen, angry, whatever. I just want a normal non-hurting knee! February 25, 2016, My VMO pain still hurt. I told my regular therapist about it and she worked on it some. She concurred that my knee was swollen. February 26, 2016, I went all day with no brace at all!! A bit of pain but manageable. February 28, 2016, and I haven’t worn the brace since the 27th. I still need assistance to get up from sitting but I can see huge improvement. It seems to get better, then something happens and it’s back to pain again. When we were on a trip to New York a month ago, we walked a lot and climbed so many stairs, I had to buy a new brace. Today is supposed to be my final PT but I don’t think I’m ready. My knee has been bothering me off and on for a while. I’ve been taking water aerobics and was careful not to do anything that would hurt my knee. The hot tub afterward was a great place to aim hot water jets at my knee – that would numb any pain for a while. I realized that the neoprene braces were making me itch so I actually found one with no neoprene – Hooray! “All BioSkin material is hypoallergenic. Latex-free and Neoprene free.” Hooray again! This last week or so, the pain has been getting worse again so I decided to try a new doctor. This one seems like maybe – just maybe – he’ll fix things. He said: “Your previous knee injuries made sense for pain but this spontaneous onset of medial knee pain is a bit strange. 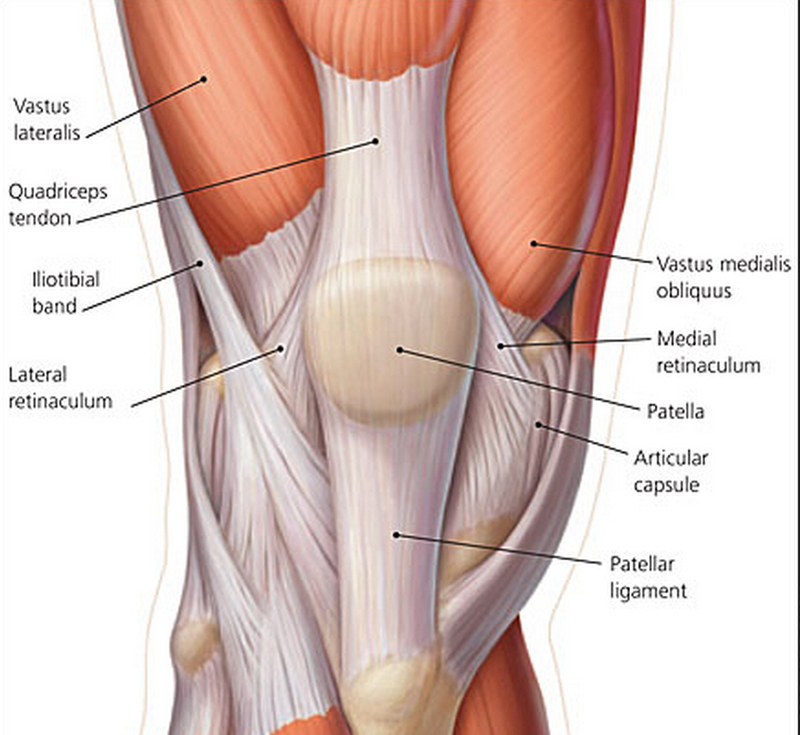 I can only do a limited examination due to the pain and difficulty bending, but it seems to be over the distal insertion of the VMO (quadriceps muscle) with possible inclusion of some joint line tenderness on that same side. I’d like for you to use ice packs in your knee brace at least three times a day with the goal of calming down the inflammation. So, next Wednesday, I have an appointment with sports medicine – I might be moving forward. Or not. I realized that the neoprene braces were making me itch so I actually found one with no neoprene – Hooray! “All BioSkin material is hypoallergenic. Latex free and Neoprene free.” Hooray again! Today I am hugely thankful that the last major issue we had here was in 2013 when Tom had his heart attack. That event caused me to start this new blog to post about our experiences. January 27, 2013 was our 40th anniversary. DH called me and said he was leaving a conference in Washington, DC and we’d go out to brunch when he got home. The next thing I had heard was that he was in the ER with a suspected heart attack. I rushed to the ER and found him in his cubicle. He’d had 3 nitroglycerine pills by then and figured he could go home. Wrong! They had him stay overnight at the hospital. January 28th, they decided to send him by ambulance to Fairfax Hospital for a cardiac catheterization and possible stent. At the end of that, the surgeon came into my waiting room and said that he needed triple bypass NOW. Three of the arteries were 100% blocked. They got me calmed down to see him in the OR. He was trying to get odds of not doing this surgery and just leaving then. Finally, I said that he would do this surgery, we weren’t going to fool with this. I really lost it when they asked me if we had any children and I said 1 son in NYC. They called him at work in New York and had him get there as soon as possible. I’m sure he could hear the fear in my voice. They wheeled DH off for surgery and I waited again. Luckily, 2 church friends came and sat with me and our pastor arrived about 8:00PM. Our son arrived about 8:30PM after taking the Acela and a taxi directly to the hospital. The surgery was over about 9:00PM but when we saw Tom, he was still under anesthesia. They kept him that way until the next morning since he was too confused when they woke him up. Long story short (too late!) – he got out of the hospital on the 31st and I played nurse 24/7. He couldn’t drive/go anywhere for 6 weeks, and then there were 12 weeks of cardiac rehab. One of the things that came out or cardiac rehab was becoming friendly with 2 other couples (although one of them has since split up). We go out to dinner every couple months…and none of the surgeons would be happy about our choices. A slightly different take on the events, written 3 weeks later on the same blog. * With apologies to Karen Carpenter! I know I’m not supposed to “relive” events. I have done that too often with my Cushing’s and cancer adventures and I’m told that reliving causes nearly as much stress as the original event. 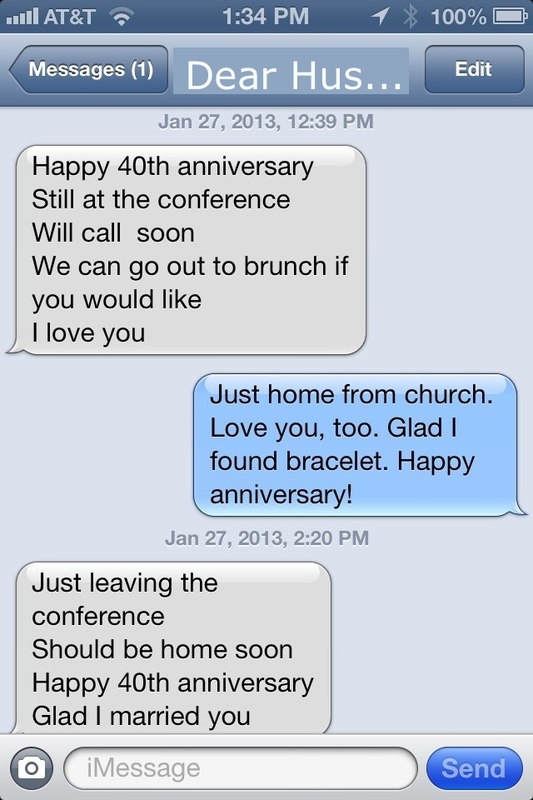 It all started on Sunday, January 27, 2013 – our 40th wedding anniversary. I picked up my mom and went to church so I could sing in the choir. DH went to a meeting of some sort on Benghazi. After church, I stopped off in the church office for a goodie bag that the Staff Parish Committee had left. Dropped my mom off at her house and went home. I put the goodie bag on the dining room table and logged onto the computer to do some work. I figured I’d take a nap until DH came home for that late brunch. The next thing I hear was my phone ringing, a call from DH. He was in the ER at Fair Oaks with a heart attack. OMG! I immediately leaped up and rushed out the door. I called one of my pastors and got to the ER in record time. When I arrived, he was in a bed, all hooked up to monitors, fluids and such. He was awake and feeling pretty well thanks to the nitroglycerine they had given him immediately after arrival. When we had a chance to talk, it turned out that he had been in his conference and realized his chest was getting tight. He found the hotel’s store and bought aspirin – 3 for $11.00 which he thought was extravagant. He bought them and took them anyway – and probably saved his life. On the way home, he was feeling pretty good so he stopped at the mall to buy an anniversary gift. The salesgirl in Zales didn’t know that ruby was the stone for the 40th anniversary and was kind of ribbing DH for waiting until the last minute to buy a gift. He walked out of there, felt more tightness and headed to the ER…where he called me. DH was feeling pretty well thanks to the nitroglycerin and aspirin plus whatever else they had in the IV and wanted to go home. The staff said no way – he had to stay overnight so he could be monitored. A trainee EMT came in to ask some questions as part of his learning process. Every time DH mentioned the word “Benghazi”, his blood pressure spiked about 40 points or so. That term became verboten ever after. My pastor stopped by and we had some nice chats and prayers. Time passed, tests were done, doctors and nurses stopped by. Finally, DH was moved to his room upstairs. About 9 or so I went home and found our dog huddled by the front door – I had left so quickly I hadn’t left her any lights on. I imagine she was quite worried. I can’t even remember what I had to eat for dinner but I really wanted something chocolate. On a whim, I looked in that goodie bag and there was a double-sized brownie. I think I ate that in record time and it really hit the spot. Monday morning (for real! ), I checked the weather and found that school was starting late because of icy conditions. I put on boots and took the dog out. It seemed to be raining – if it’s raining, it must be warm, right? So I didn’t really pay attention (and I had other things on my mind!) and completely missed seeing the black ice. Next thing I knew, I had fallen on one knee, my cell phone in my pocket bruised my other thigh and my left arm hurt where I’d reached out to catch myself. Luckily, I hadn’t let go of the dog’s leash. I ended up sitting in a puddle of icy water for a long time, figuring out how to get up. I finally sort of crawled up the trash can that was sitting in the driveway. The dog had an abbreviated walk, I changed my wet, cold clothes and headed to the hospital. I was showing DH my knee and one of the staff bandaged it up for me. I told him I hadn’t fallen at the hospital and wouldn’t sue but I guess he wanted to be sure. The hospital staff decided DH should go to another hospital which is world renowned for its work with heart cases to have a heart catheterization and possible stent. DH was ready to walk out to my car to drive him to Fairfax Hospital. He wasn’t thrilled when he was strapped to a gurney and out to an ambulance instead. I headed over in my car. They’d changed the entrances to the hospital since the last time I was there and I couldn’t find the “Grey Entrance”. Finally, after wandering around for a long time, I found it. 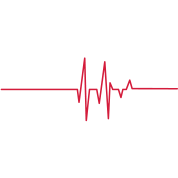 I saw DH in the prep room where they got him ready for the heart catheterization – then they rolled him away after explaining all the things that could go wrong. I went out to the waiting room, got some coffee and a sandwich and hunkered down with my iPad. Eventually, my beeper went off and I was called back to the room where DH had been prepped. The surgeon was there this time. She said that 3 arteries were nearly 100% blocked and they needed to do emergency triple bypass. They also needed me to convince DH of this since he was figuring he could tough it out. I started crying but she said I had to get myself together and convince him NOW. I had to put on scrubs and off I went to the OR. I got there, DH was on the table trying to figure out the odds if he didn’t do this surgery. All the medical staff said that he had a very low chance of survival without the operation. He still wasn’t sure. He wasn’t afraid to die. Tough Guy, Yadda Yadda. One of the nurses asked me if we had any kids. I said only one, in NYC. She said I should call him and get him here ASAP. She even dialed the number. I talked to DS at work and he agreed to come right away. He was pretty scared, too. He later revealed that he had been crying on the train ride. I went back to the OR, told DH that DS was coming and that he was going to do the surgery like it or not. I signed the paperwork and sent him to a very scary surgery. It was about 4:30 by then and I needed to take the dog out again. They said I could go home – surgery wouldn’t be over until about 8:00PM or so. Got home, took the dog, made sure that there were lights on, and headed back to the hospital. Another pastor from my church called. He said he’d be by the waiting room later. Two friends from the church office texted me to say they were coming over to sit with me in the waiting room. They got there about 6:30 and we decided food might be a good thing. We headed out, following a variety of directions and signs and walked for a l-o-n-g time. My knee was killing me. We got to the cafeteria and found out that it was closed. the 24-hour one was elsewhere. We finally found that, got some food and my cellphone rang. The surgeon would be coming out soon to talk to me. We hustled back to the waiting room and the surgeon came out about 8:00 with good news. Successful surgery! DH wasn’t awake yet but we could see him about 9:00PM. The pastor arrived about 8:30, then DS got there about 8:45. Finally, they said we could see DH although he still was asleep. My friends left, pastor and DS went in to see him in ICU, sleeping so peacefully with so many lines attached. The pastor prayed, then left. DS and I decided to stay to see DH awake. About an hour later, the ICU tech said they were going to keep him asleep overnight so we went home. Tuesday, January 29 – DS called the hospital fairly early and found that DH was still a bit agitated so they were keeping him under a bit. I took the dog out and we got ready to head back. I got a call that he was waking up but agitated. He kept fighting with the nurses on the day of the week. 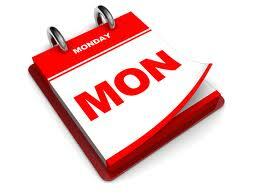 He kept saying it was Monday, even though it was Tuesday. Surprise, surprise. The calendar on the wall hadn’t been changed. It still read Monday. No wonder that’s what he thought! We stayed all day, though nurses, techs, doctor visits and such. He was in ICU so was monitored very well. DH was quite confused and repeated himself a lot. He wasn’t quite sure what had happened. 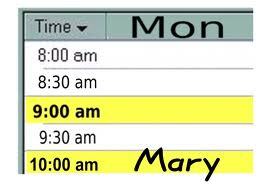 Wednesday, January 30. DH had been moved from ICU into a regular room and we had to follow visiting hours, even though we were family. We could visit at 11 and had to leave at 1, then back for 6-8. Actually, this worked out well since I was able to take my first nap since this whole ordeal began. DH had called DS early in the morning and said he “needed” his cell phone to make some work calls. Luckily, DS talked him out of that, saying that he could say some wrong things, given his temporary memory issues. Thank goodness! I didn’t want him spending his days talking on the phone. We got there about 10:45am and they still wouldn’t let us in due to “flu season”. I’m not sure how we could give him the flu in those 15 minutes before official visiting hours. We visited – DH got to eat a bit and had started having lines removed. He thought he might put his shorts on so went into the bathroom to do that. Unfortunately, he managed to pull the IV out of his hand and bled quite a bit. The nurse sent him back to bed and said no more of that! A representative from the group Mended Hearts stopped by with information and a heart-shaped pillow. They have meetings the first Saturday of the month, so we might go to some of those. The first pastor dropped by again and we made plans for Friday to pick up DH’s car which was still at the ER. 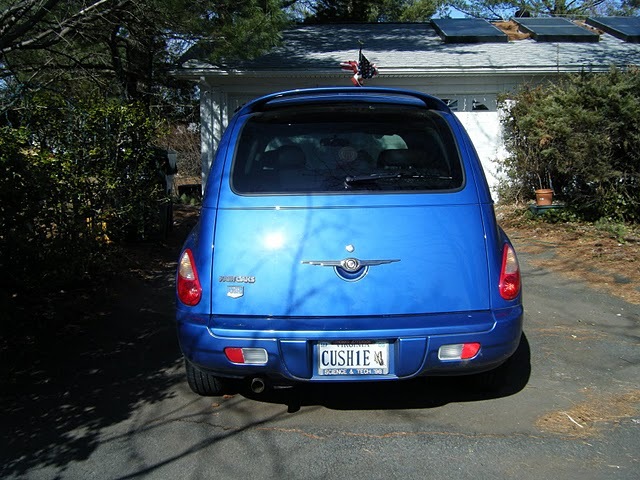 No one else I know could get it – it’s a standard shift car. Not much else – visiting, napping, improvements every day. 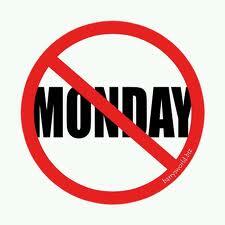 Finally, it’s not Monday! Nowhere, nohow. Just Thursday, January 31 after 4 days of Monday. Hooray! We got home about 5:00PM. Yea! Now the real work began – visiting nurses, medications, doctor visits, rehab. Whew! There was a lot more after the surgery – visiting nurses, cardiac rehab, so on and on. I am hugely thankful for my pastors, friends, family, people who brought us dinners, all the doctors, nurses, surgeons, visiting nurses, rehab personal, Mended Hearts, ambulance folks, aspirin, nitroglycerin, insurance, Fair Oaks Hospital, Fairfax Hospital, everyone involved in any way with this escapade. 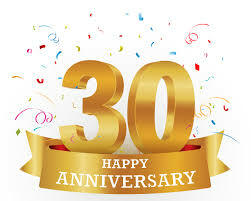 Today is the 30th anniversary of my pituitary surgery at NIH. My Cushing’s has been in remission for most of these 30 years. Due to scarring from my pituitary surgery, I developed adrenal insufficiency. When I got kidney cancer, I had to stop the GH, even though no doctor would admit to any connection between the two. Even though I’m when I got to 10 years NED (no evidence of disease) from cancer, I couldn’t go back on the GH. However, this year I went back on it (Omnitrope this time) in late June. Hooray! I still don’t know if it’s going to work but I have high hopes. I am posting some of how that’s going here. During that surgery, doctors removed my left kidney, my adrenal gland, and some lymph nodes. Thankfully, the cancer was contained – but my adrenal insufficiency is even more severe than it was. In the last couple years, I’ve developed ongoing knee issues. Because of my cortisol use to keep the AI at bay, my endocrinologist doesn’t want me to get a cortisone injection in my knee. I am thankful for Dr. Ed Oldfield, my pituitary neurosurgeon at NIH. Unfortunately, Dr. Oldfield died a couple months ago. I am so thankful for all my doctors but today I am thankful for Dr. Amir Al-Juburi who saved my life by removing my kidney cancer (renal cell carcinoma). In 2006 I picked up my husband for a biopsy and took him to an outpatient surgical center. While I was there waiting for the biopsy to be completed, I started noticing blood in my urine and major abdominal cramps. I left messages for several of my doctors on what I should do. I finally decided to see my PCP after I got my husband home. When I was diagnosed in the ER with kidney cancer, Tom’s doctor said that he could do the surgery but that he would recommend someone even more experienced, Dr. Amir Al-Juburi. Dr. Amir Al-Juburi has been so kind to me, almost like a kindly grandfather might be, and he got rid of all 10 pounds of my kidney and cancer. I owe him, the original doctor, and my Cushing’s doctors (who will be featured later! ), my life. Today I am hugely thankful that the last major issue we had here was in 2013 when Tom had his heart attack. That event caused me to start a whole new blog to post about our experiences. Just wait a week. Right now, I’m on day 6, so I have high hopes for tomorrow. I do notice that sitting is marginally worse than lying or standing. I guess that maybe compresses the nerve more? I do have a bit of Oxycodone left over from my knee pain (which I still have – luckily, on the same leg – just not as badly), so I take 1/2 of one to help me sleep at night. Whenever I think of Oxycodone, I’m reminded of the night that I was diagnosed with kidney cancer. I’d just been admitted to a room and someone came to visit me. She offered to buy my Oxy from me. I was stunned. Then, she said she was just kidding. Um, no. I can’t think of anyone who would even think of buying Oxy who didn’t have some kind of issue – even as a “joke”. 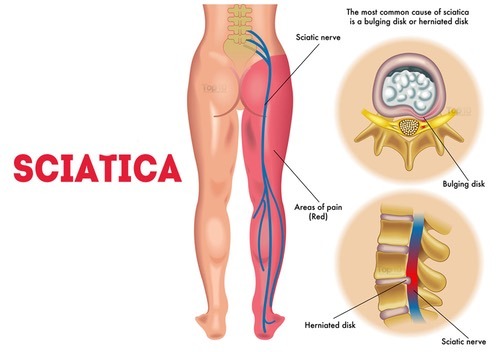 Sciatica refers to pain that radiates along the path of the sciatic nerve, which branches from your lower back through your hips and buttocks and down each leg. Typically, sciatica affects only one side of your body. Sciatica most commonly occurs when a herniated disk, bone spur on the spine or narrowing of the spine (spinal stenosis) compresses part of the nerve. This causes inflammation, pain and often some numbness in the affected leg. Although the pain associated with sciatica can be severe, most cases resolve with non-operative treatments in a few weeks. People who have severe sciatica that’s associated with significant leg weakness or bowel or bladder changes might be candidates for surgery. Pain that radiates from your lower (lumbar) spine to your buttock and down the back of your leg is the hallmark of sciatica. You might feel the discomfort almost anywhere along the nerve pathway, but it’s especially likely to follow a path from your low back to your buttock and the back of your thigh and calf. 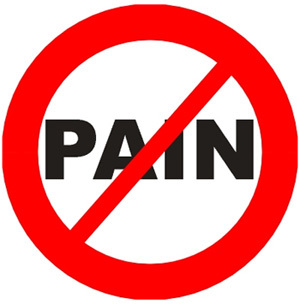 The pain can vary widely, from a mild ache to a sharp, burning sensation or excruciating pain. Sometimes it can feel like a jolt or electric shock. It can be worse when you cough or sneeze, and prolonged sitting can aggravate symptoms. Usually only one side of your body is affected. 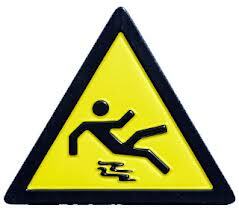 Some people also have numbness, tingling or muscle weakness in the affected leg or foot. You might have pain in one part of your leg and numbness in another part.